These Djinn spirits are believed to be over 2,000 years old. It was believed by members of the Illuminati family that they came to us from, that they were some of the original inhabitants of Fortune Island. Please take your time and read through all information pertaining to these Djinn so that you can decide if they are a good fit for you, and can serve what you are looking for in your life. For those of you who are not familiar with the infamous, Fortune Island, it has been rumored to be just located off the coast of the United States. It has never been placed on a map, and so it's location goes unknown year after year. The coast of the island is wooded and uninhabited. Beyond the forest lies a broad well watered plain which is intensively cultivated. This is where the inhabitants of this island reside. These inhabitants have been known to take special interest in the departments of science and arts. They are eager for new information. They regard the sun to be the Father of the Universe, and they believe in the immortality of the soul. There are eternal rewards for those who have been good. And there are eternal punishments for those who have been wicked. All nonbelievers in their society are burned. These were the beliefs of the people at the time in around 1790. These Djinn spirits have come from that island. They lived among those inhabitants, and the island was named after their powerful wealth and control.....Fortune Island. Over 2000 years of power and wealth control, these Djinn have been with several different illuminati families, but it is now time for them to be rehoused once more. ARE YOU READY FOR THIS KIND OF POWER? Over 2000 years of power and wealth control, this is your opportunity to have unlimited power and wealth come your way. These Djinn picked a vessel that most people would never imagine could contain spirits of this magnitude. We hardly could believe our eyes when we received them. This is a perfect example of the Djinn's high intelligence. Their conjurer many years ago asked them to pick the vessel of their choosing. The one they would feel safest in, and this is what they picked. It is ornate, but with no markings that would give away its power or rarity. There are many thieves of spirits of this power out there. You must be careful that should you ever ask the Djinni spirits to rehouse into another vessel, that you do it in the most discreet item, such as this one, that you can find to prevent thievery. If you are a collector of Djinni spirits, you will need to act quickly to get this family. This is an opportunity for anyone, whether you are an avid collector, an expert, or a beginner in the paranormal and metaphysical realm. This power will work for you easily! This is completely authentic witchcraft. 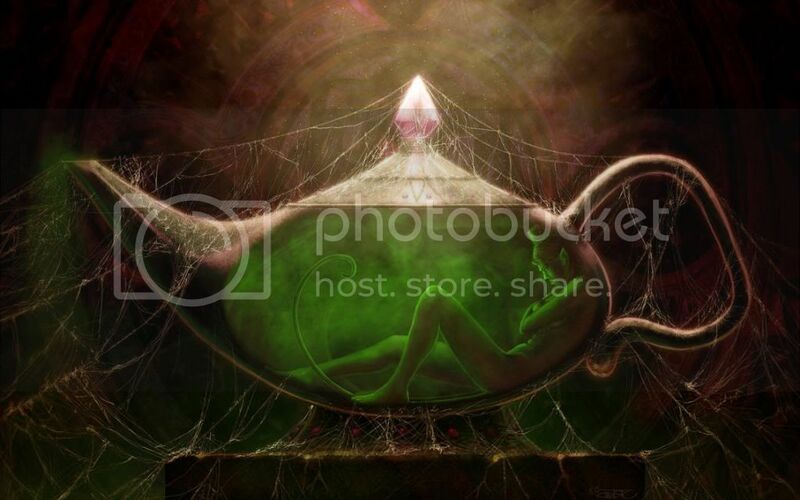 This is most likely one of the most powerful Djinn vessels that we will ever offer. We have been told the Illuminati Family that owned them for so many years treated them like family. We are so thankful to be able to help them find the next intended owner of this power. Within just a few days we know that someone will claim to be the best master of these spirits! The Djinn will be on their way to their next owner. Will it be you? Only you can know that for sure. 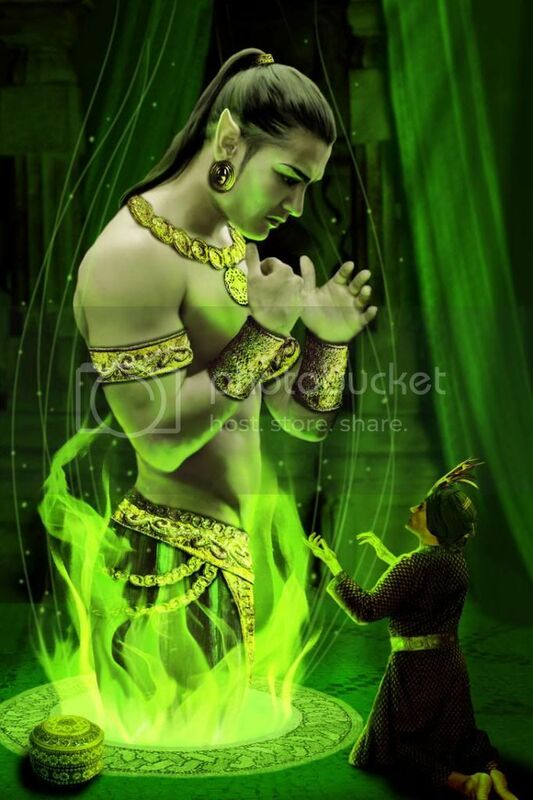 These Djinn are primarily servicing those who need wealth and control powers.Those who have felt as of late that their financial situation and luck has been suffering, or who feel an external locaus of control that they know should be an internal locus of control, and could be with a little help from our friendly spirits. These are some of the most astounding powers combine in one vessel that you shall ever find here. Not convinced of their authentic magickal power yet? Let's give a small amount of background on the family that sent this powerful Djinni family to us. The name of the family I will never be able to speak outloud, because in return for our many years of friendship, as well as the many intuitive services and counsel we have provided them, they gave us this vessel with the understanding that we should keep their name private as to not entangle it with the media. If you get our drift they are a very wealthy family in the United Kingdom, and they would not want their name anywhere in the public eye associated to the fact that their secret has been this Djinni vessel for their wealth chain. They told us that in this time of economic depression in America, they knew that these Djinn wanted to move on to help the next deserving family, and that they will always continue to be blessed by this power. When the next owner is done, it is possible to give the vessel as a gift to the next intender, and the Djinn will always protect the previous owner as well. So they are like the gift that keeps on giving. You bond with this Djinni family, and you have a friend and confidant for life! Here is a picture of what some believe the physical body of a djinn would look like if they were to make themselves known to you. However, please keep in mind, that the Djinn seldom show themselves to you in physical form because then they would be subject to all the same human mortality that you and I are. If they were to be shot, they could actually be killed in physical form --- so they try not to take their chances on that happening, and you would be VERY fortunate to ever have the opportunity to see one in physical form of any kind. They choose rather to appear to you in your dreams, or sometimes give you advice while you are sleeping, but not in physical form. What this family has been having powerfully serve them for years can be yours. This includes the vessel with 22 Djinni Active Spirits working for you. These royal class Djinn are some Marid, some Ifrit. This means that you will have some of the most powerful classes of Djinn working in your favor. You will need to treat them nice. WARNING: If you have never had Djinn spirits before, please do some research before bidding. Djinn are very real, and very powerful. However, they can also be incredibly dangerous should they fall into the wrong hands, or be mistreated in any way. When you receive this vessel, you will need to do a simple bonding ritual with them. You can do such as you feel comfortable. You want to open up the doors to allowing your Djinn to feel free to start working with you. These are ancient spirits you are welcoming to your home. Treat them with the most respect. Please note that you may begin to experience situations in which you "see things are they are." This is part of the enlightening that is necessary to moving past your blockages and into a new realm of understanding the higher powers that are out there. Be careful who you tell about your new spirit family. Many people like to see you down. They want to be miserable with you, or be better of than you. They are not going to understand over time as your life improves and their does not...Just tell them you are getting things together. It is best that this secret be kept most sacred. As your higher understanding becomes more and more a part of your life realities, and as you undergo these life transformations, you are going to find that you have more and more control over your success. This is the magick working for you. Please don't block it. We have found through our collecting that each spirit family is different. They work for you in different ways. You might experience rapid fire manifestations, or wealth might come to you in the form of a new job offering for more pay, and then an opportunity to sell your house you didn't think you would have, or rapid fire luck, like even winning the lottery. With power like this working for you all the time, it is endless the possibilities that will be coming to you. It is your job to embrace those possibilities, and to help them manifest for you positively. Again, like we tell all of our bidders, we are pricing our Spirit Bound Items WAY BELOW VALUE. What is wealth power worth? The ability to have rapid fire manifestations in your daily life and to get the things you most desire. It would be impossible for us to ask you to pay anything close to the amount of benefit you shall reap by having this Djinn family in your life....But that is part of the enlightenment. We are meant to be a part of this spirits transition. So we are pricing them at affordable rates so that the new intended owner can afford to receive them. Please only bid if you are a believer. This power is not for the skeptic of heart. For they shall not experience the results, and we would rather share our magick and spirits with those who can truly appreciate what they have to offer and treat them with the dignity and respect that they deserve. Thank you! If you are being spoken to, and are drawn to this auction, then you will know it.